You just turned 3 years old. I’m blown away by how fast it’s going. I haven’t written in months – for so many reasons. I’ve been busy being your dad, and busy with life. I actually have several semi-finished and completely finished posts that I simply didn’t deem worthy of posting. I’d finish one (or worse, this would happen mid-way through) and then think to myself: “What’s the point of posting this?” And there you have it. Months of silence. Recently I’ve been thinking a lot about this blog and why I started it in the first place – so that one day, you could come to it and read all about your life from my perspective. It’s always been about you, and for you. So, I’m changing the narrative. From here on out, I’m writing directly to you, Jacob. 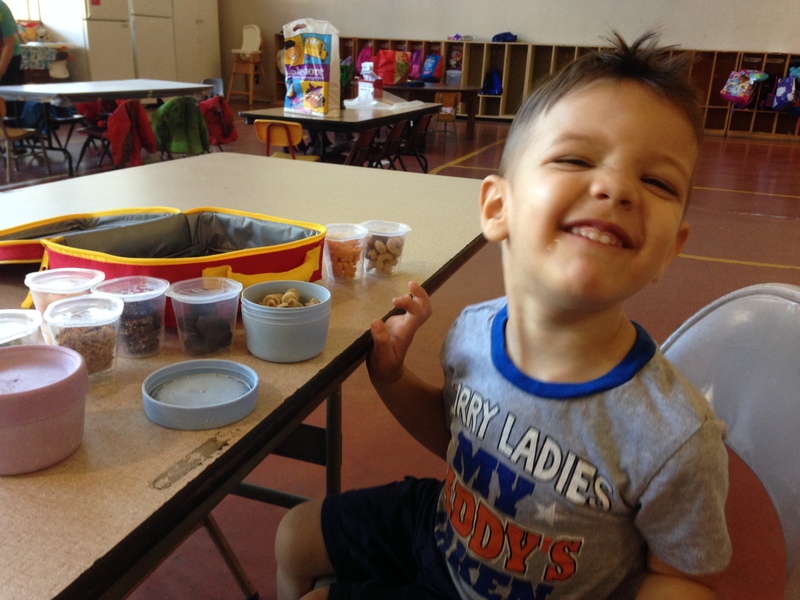 You started preschool, and it began with a lot of crying – so much that your teachers (whom you now love dearly) had to pry you from our arms every day when we dropped you off. We’d come to pick you up and in the few moments where you didn’t know we were back yet, we’d see you spending most of your time with the teachers, happily talking away (another trait that I take credit for). Then, upon seeing us, you’d instantly burst into tears and start crying. It was as if you forgot we were gone, and seeing us made you realize it. I’m sorry if mom and I laughed – it was just so adorable. You are such a sensitive little guy, and quite frankly, that’s worried me in the past with respect to other kids at school and how they’d treat you. Not anymore though. I’ve watched you with pride as you’ve grown accustomed to going to school. I love our ritual of sitting together in the auditorium to eat some of your lunch before class (this started as an actual thing, and has turned into you taking a bite of something – usually a piece of apple – and then instantly telling whichever one of us brought you to school that day that it’s time for you to go into class). Nothing warms my heart more than watching how much the other kids at school love you. Whenever I come to get you, they don’t let you leave without first coming up and giving you a big hug (sometimes several). You love the alphabet and numbers – we can’t get through a day without you spelling something or asking about how to spell something. You still love Sesame Street, but you’ve graduated to Super Why! and you love music. It started with Calvin Harris – Thinking About You – you’d ask for the beat, we’d play the song and you’d bounce around like a little maniac. Then you graduated to Happy, moved on to Shake It Off, took a pit stop at Sky Full Of Stars, before settling on Dave Matthews Band (both me and your auntie Kelly are thrilled about this). Your favorite songs right now are What Would You Say and Ants Marching. You ask to hear them every single day on the way to school (or anywhere for that matter) and we sing them together. You should know that I treasure every moment with you! Remember how I said that you were sensitive? Well, I want you to know that that’s a wonderful thing. Never stop caring for others, and never stop doing for others. You will meet lots of people in your life. Some will be cruel, others kind. Some will promise you the moon and stars and come through for you, while others will simply let you down. It doesn’t matter. What matters is how you behave. How people treat you is their karma; how you react is yours. Be kind above all else (you can thank your mom for these gems). Stay true to your word, and know that while mom and I will always be there for you, we won’t always have the answers. We totally trust that you’ll figure things out for yourself. Or we can just search Google. 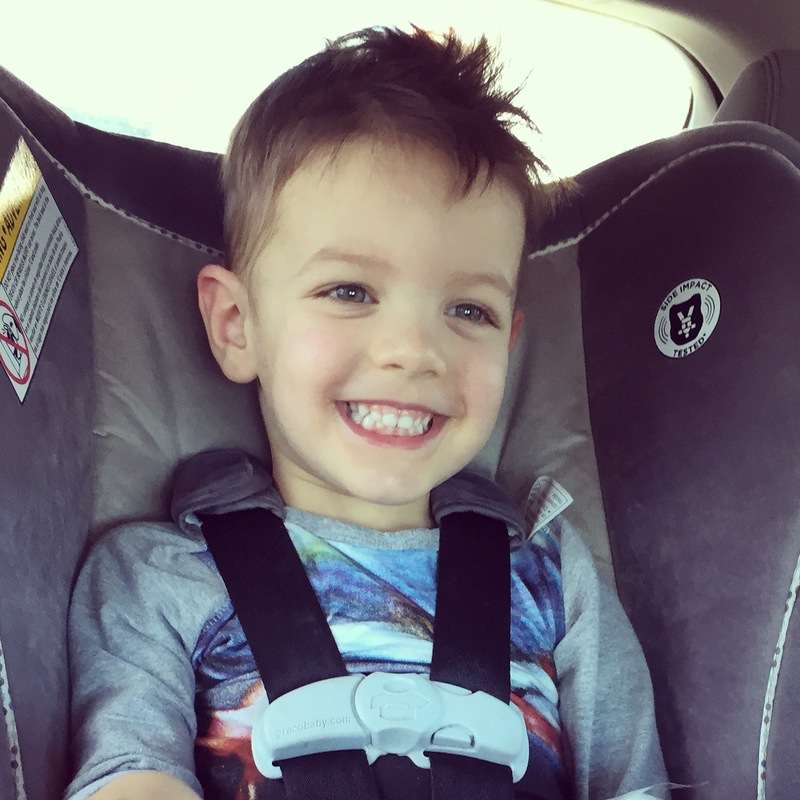 This entry was posted in Parenting and tagged coldplay, dave matthews band, kindness, love, music, Parenting, play, promise, school, sesame street, super why, Truth. Bookmark the permalink.